Defining a society, cinema is probably the strongest medium to record an era, a time or in the most articulate way, a year. Indian cinema is fast catching up the habit of presenting unconventional stories in the most lucid approach for the national as well as global cinephiles. Cinema lovers would probably not regret 2016 as far as the range of Indian and international films screened in the Indian multiplexes are concerned, over the last 12 months. However, often it so occurs that the few very unconventional films go unnoticed even before you fancy them on the hoardings on your way back from work. Although I still wonder if we can be overwhelmed by the increasing standard of Indian cinema, there has been a substantial improvement in terms of exploring organic subjects and trying new techniques. But again, the reason to worry is that the list of such films is not very long. Consequently, regulars would say that Indian films have maintained their affinity to dated romantic stories, but the fact is that there always has been a space for alternative filmmakers and 2016 was no different. Keeping our space constrained to the films that had a proper theatrical realise in India, let us look at five unconventional Bollywood films of 2016. Five stories that were far from being the usual love story, rather these stories can help you trace the presence of some really complex human emotions. From a range of subjects such as homosexuality, complexities in a family, loneliness and even madness in this urban world, these five films have walked five different blind lanes of Indian cinema. In no order, here are five alternative films released in 2016 that we think every quintessential cinema lover should watch. A Marathi teacher in Aligarh University is suddenly asked to vacate his quarters and is dismissed from his job on the disciplinary ground. Allegation: The man was found in a compromising situation with his ‘male’ friend inside his bedroom. The film builds on an intense drama revolving around this typically harmless, aging, bachelor seeking refuge in the unfriendly avenues of Aligarh. 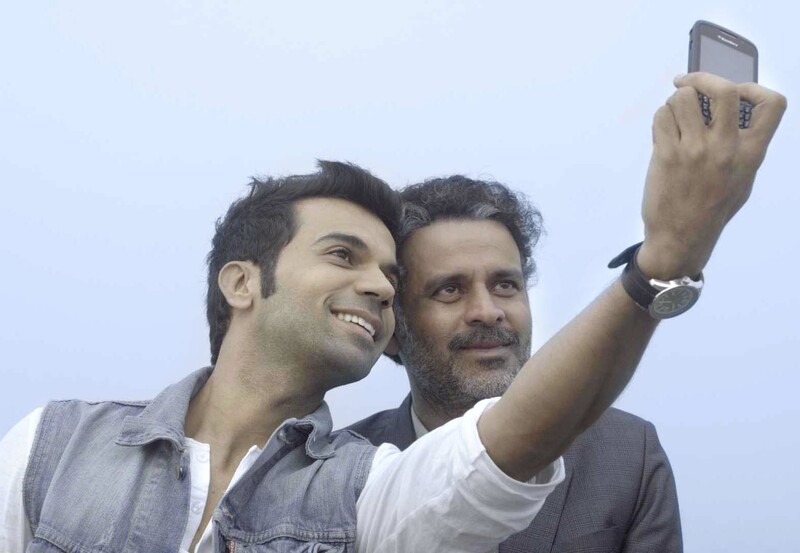 Depicted from the perspective of a young and passionate journalist, Aligarh is probably one of those really low budget films that worked at the box office as well. Despite being projected as a non-commercial movie, this Hansal Mehta-directed film excelled in telling a sublime story, an obvious addition would be the meticulous acting by both the protagonists. Coining relationships might be the practice in India, but seldom have we understood how some of the invisible kinships between two individuals can be left nameless – would you not like to experience something of that sort? An urban family with its own idiosyncrasies and quintessential complexities build up the plot of this film. With an ensemble star cast and a riveting story revolving around the Kapoor family and its three generations offers a refreshing take on modern families in India. Searching success in the noise of mediocrity and seeking that absolute emotional outlet from the ever-brewing turmoil – the director, Shakun Batrain, in his second directorial venture, captures a very pragmatic side of the Indian city life. Complexities like infidelity, homosexuality, changing perspectives towards family responsibilities and even a mid-age crisis – the film poignantly details a number of uncomfortable human feelings. You should watch it because of the performances of all the actors, the unfamiliar story-telling in terms of Indian films and most importantly for the modern-day approach to a piece-of-life story. One of the two protagonists in the film rightly points out the unaided life in the present times despite having thousands of friends and followers on social media. With no one outside the nursing home, while she watches her husband lying numb in a coma, nursing grave injuries from an accident, she realises the harsh reality of life. Revolving around the lives of two people hit by the diversity of this shallow urban loneliness and of course the unseen commercial side of medical intricacies practised in India, this film asks you questions you have chosen not to. 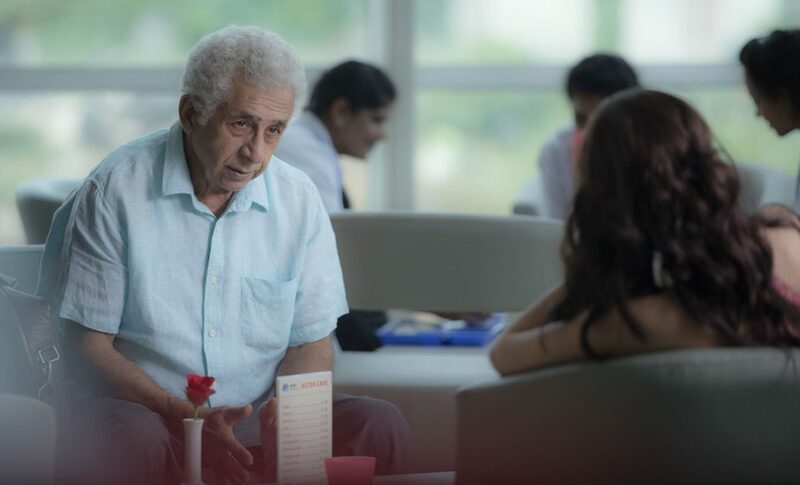 Naseeruddin Shah and Kalki Koechlin play the characters of two kinfolks befriending in a nursing home waiting room as their partners lay in a vegetative state. The plodding conversation between the two characters becoming the support system of each other in such a vulnerable moment of life is in a nutshell what the movie is all about. The incessant sessions of waiting to see one’s loved one alive again, with the hope, the anticipation and somewhat forged urge to live might leave you with a heavy heart but will also impart some very necessary lessons of life. Though highly debatable, there is no other filmmaker in India presently who consistently excels in telling thought-provoking stories with panache like Anurag Kashyap does. This noir film encapsulates the life of two characters compulsively drawn towards serial killing. A psychological thriller inspired by the real story of Psycho Raman who killed more than 23 people in erstwhile Bombay, now known as Mumbai. Rocking the Director’s Fortnight at the Cannes Film Festival 2016 and also bagging a few international recognitions, this film was a rough watch for the otherwise amity audience in India. Featuring Nawazuddin Siddiqui in the lead role, the eccentric texture of the film aims to delve into the psyche of a serial killer and the various nuances of his daily life. Going deep inside the desolated lifestyle of a cop and a serial killer chasing each other to retort intangible truths makes this a completely riveting experience, hardly familiar to the Indian audience. The list is in no order and thus, to add a film by debutant director Ashwiny Iyer is solely on the basis of its inherent, heart-warming story. The name of the film comes from a slang meaning ‘good for nothing’. Set in the by-lanes of Agra, this is a tale of a mother and a daughter struggling to strike the right chord between ambition and survival. While the mother strives to offer the best education by juggling between jobs, her daughter is shown slowly losing the zeal and getting disenchanted. Disillusioned by the cruelty of the outside world, the gradual arrogance of the adolescent girl throws a challenge at her mother. A worldwide audience might have complemented this film for its novelty in the idea, however, the Indian masses got a very brief period to judge whether the film was really a namesake or much more than what they could apprehend from a rather uncanny name. 2016 can go down the record books as a year celebrating cinema as the highest form of commercial art on many occasions. While filmmakers struggled with outmoded laws (Udta Punjab) to tell stories related to ground level reality, there were instances of brilliance in the form of ‘Pink’, ‘Dear Zindagi’ and ‘Kahaani 2’. While I draft this piece on unconventional Bollywood films, there is one that the whole country is probably waiting for; Aamir Khan’s ‘Dangal’. Moving out of the scope of this report, films such as ‘Dhanak’ by Nagesh Kukunoor or ‘Phobia’ and ‘Parched’ starring Radhika Apte delivered enough food for thought to the alternate film lovers in the country. The Indian audience has the habit of criminally overlooking really good films and this year was no different. A Film like ‘Brahman Naman’, the first Indian film to get featured on Netflix or ‘Island City’, a film which slipped off the screens without due recognition, are living instances of poorly-notified Indian filmgoers. In the regional space, much more such films serve as the base of this so-called transforming scene in Indian cinema. Unlike the last decade, cinemas with content or cinema with a woman protagonist are now considered viable, thanks to the efforts put in to make these unconventional films.